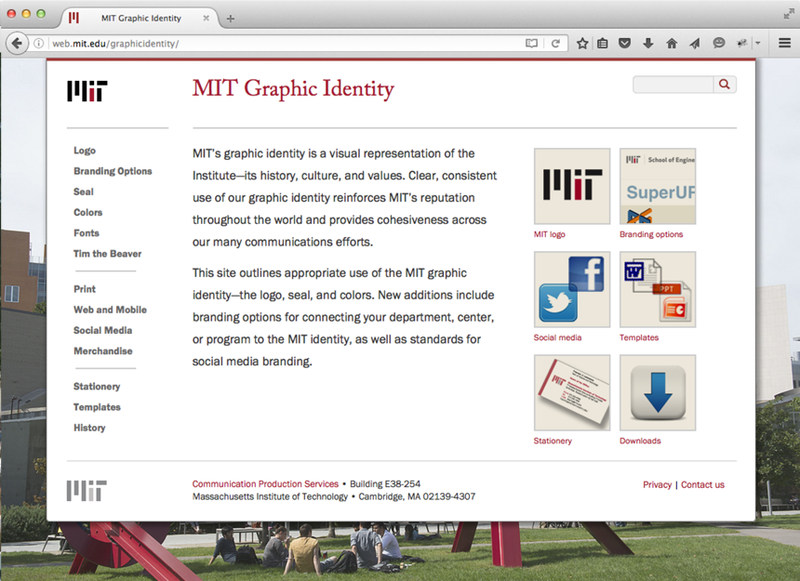 A new set of branding guidelines using the MIT logo, designed by Matthew Carter, was established with well-known Boston-area branding and design specialist Sametz Blackstone in 2011. 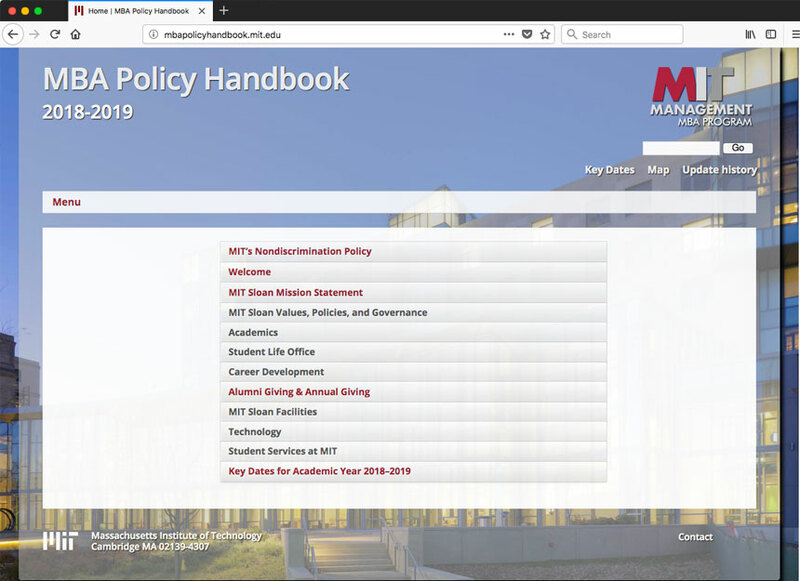 The guidelines then needed to be incorporated into the existing MIT graphic identity website which has been designed and built in the early 2000s. I took on the task of creating an updated interface of this site that detailed the guidelines set forth by Sametz. 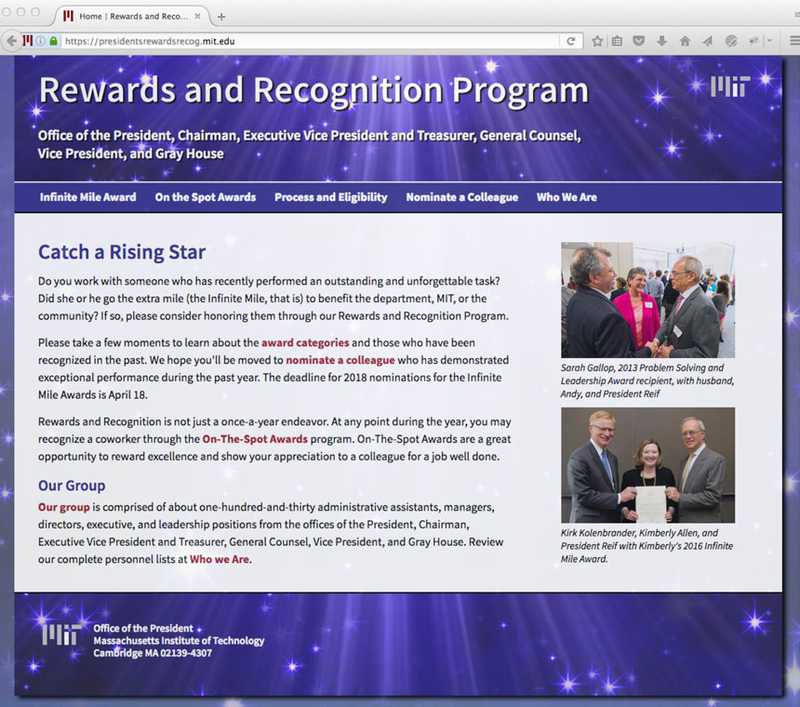 What began as an "updating" turned in to a complete redesign and rebuild of the original site. 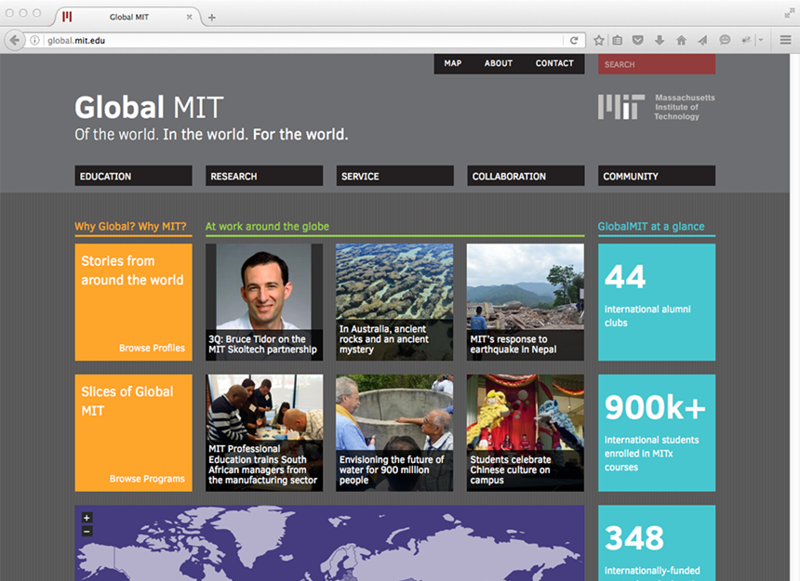 We needed to express how the MIT logo should be used by all MIT communications as recommended by Sametz. This required creating a new set of rules for expressing the logo, and in particular, how those rules would be carried out for mobile devices. Over the course of several months, my wonderful colleague Bara Blender and I wrote and designed all the variations allowed by the guideline. I produced the pages and the graphics as we went along, always ensuring a smooth experience on mobile devices. We put the pages through a series of usability testing, refining and adjusting the layout, language, and examples constantly. 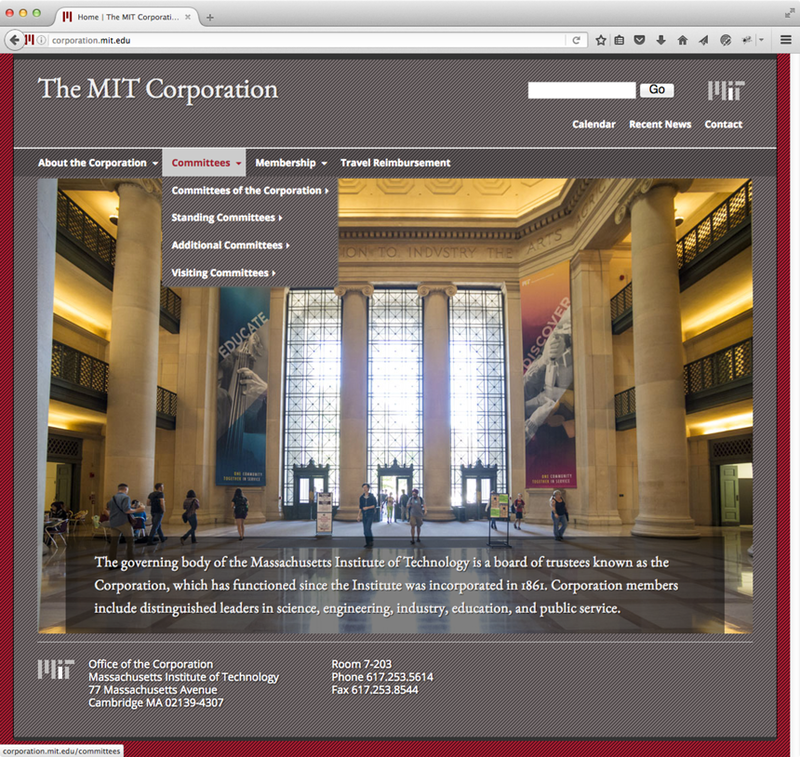 The new rules required many MIT clients to make changes to their existing products, and especially their websites. I developed a set of standards by which the various branding options should be implemented, and provided files and code support.